At last l have finally finished the shop sample of Tillies Garden , a Block of the Month. I enjoyed doing it as it is a combo of applique and machine piecing…….. 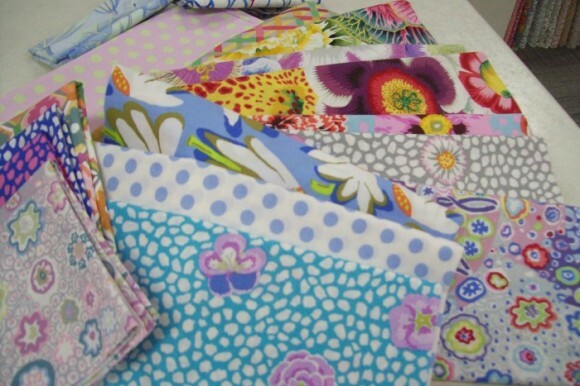 The fabrics l have used in the Sample Quilt will be the same that you get if you join the BOM. The cost is $28.00 per month for 10 months. 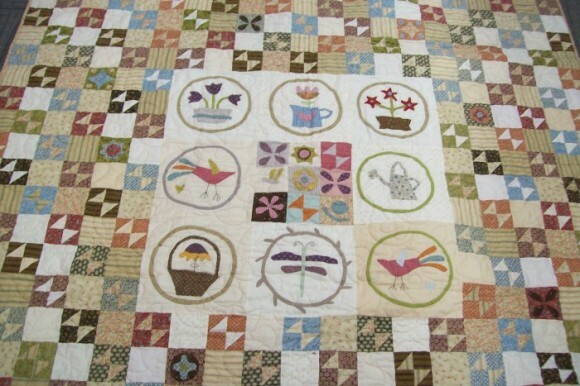 Aunt Grace Simple Sampler 1930s collection. and literally on the shelf Fresh Air by American Jane. 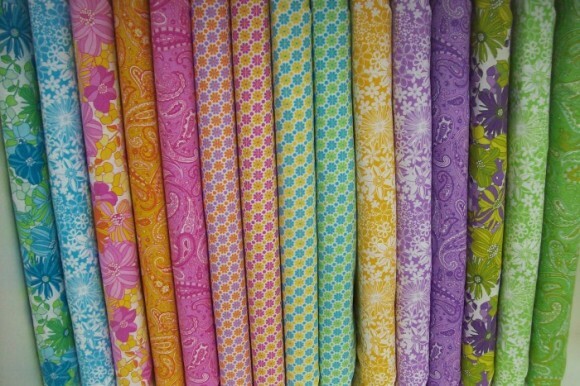 I mentioned at the beginning of the month Homespuns new BOM China Shop using Kaffe Fassett fabric, which l have in store at the moment. 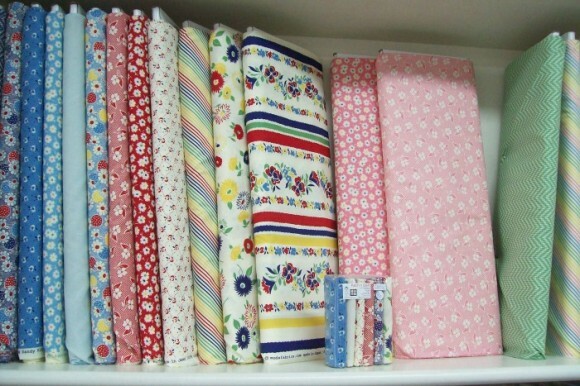 I only have limited stock so if you are thinking about doing the BOM you need to get onto it. You can subscribe to the magazine for the duration on the BOM if you want…do this directly with Homespun. 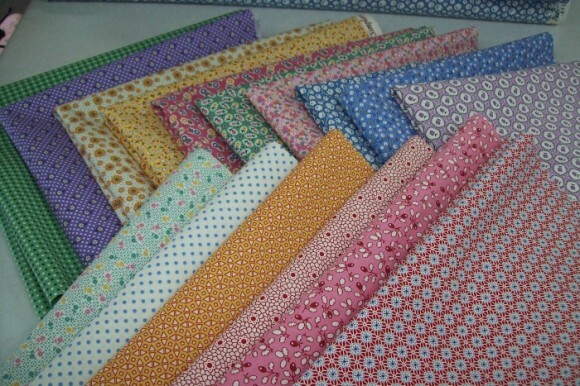 United Stitches by Rosalie Quinlan will also be available next week at the shop. 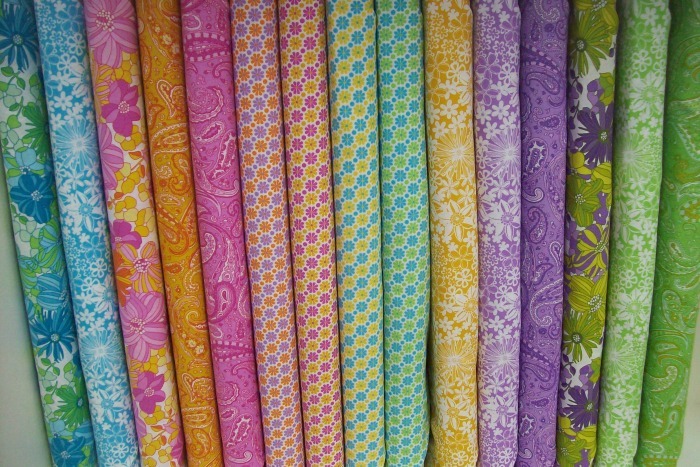 Homespun Kaffe Fassett BOM is in. For those readers of Homespun, it would be no news for you that they have a new Block of the Month running. 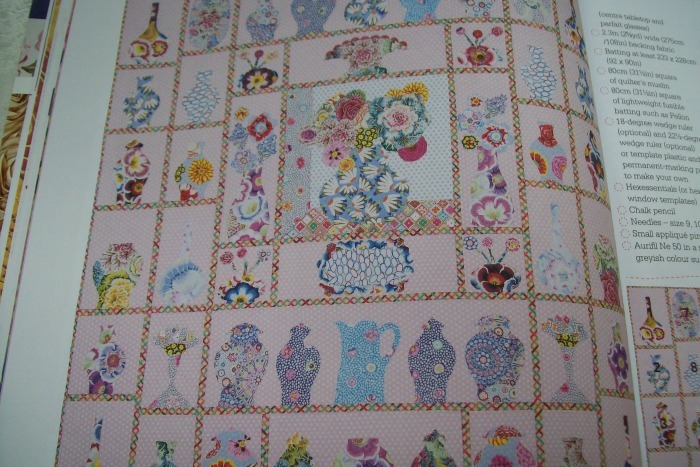 A delightful quilt using Kaffe Fassett fabric. 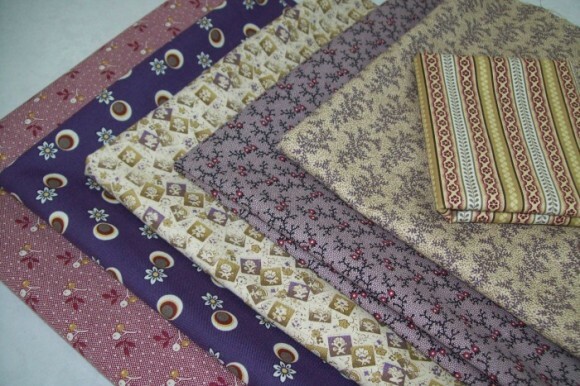 Here is the fabric that is used in quilt. The fabric is sold as a complete lot, (not per month) the cost is $345.00. This way you are guaranteed to have all of the same dye lots, and you wont miss out, if the stock from the Distributor runs out. You may layby the box, but unfortunatley you cannot take from it, until the box is paid in full. I have limited stock available. 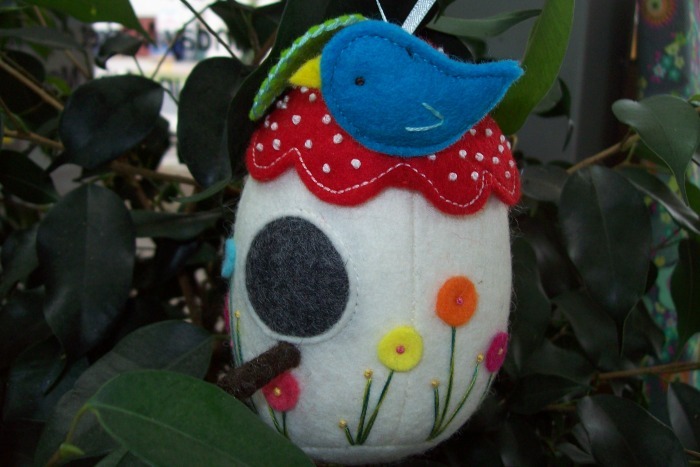 Irene Blanck has also been busy, she has finally done the pattern (EyeCandy Card) for Flowering Snowball. 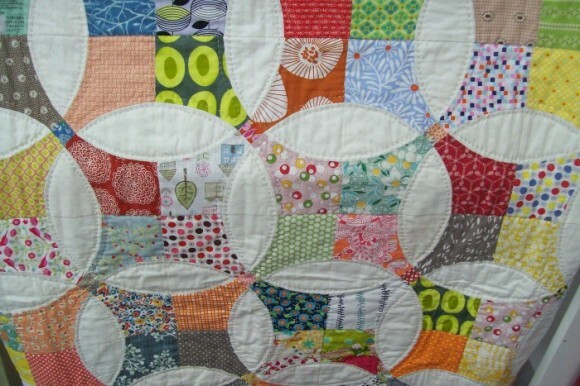 This quilt uses Charm Squares so its quite a quick one. Irene will be back at the shop in June with her new book, and we will be having a hero worship day for her (book signing) at the shop. So stay posted for those details. 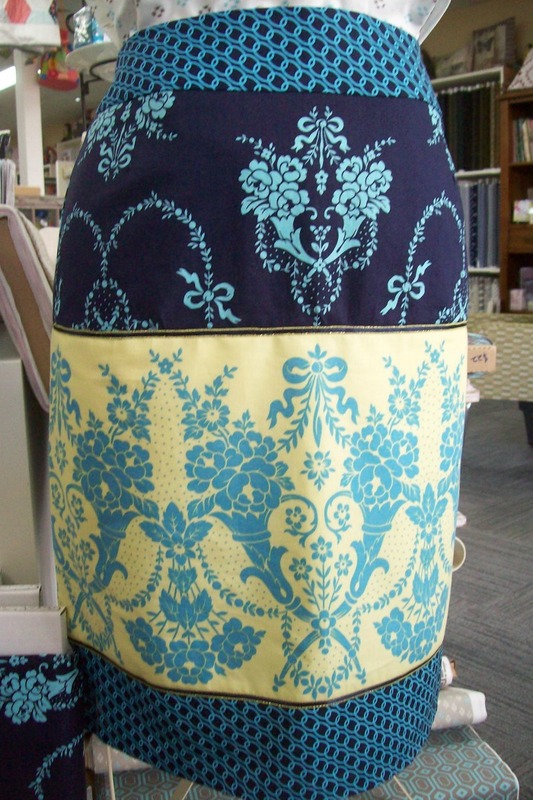 New to my shop classes is Pattern Making -Skirts. Danni Maclean will be running this course , 5 sessions over a 2 month period. Pictured is a skirt she just whipped up using my patchwork fabrics, the unfortunate thing about the skirt is that its not my size, but it just shows you what can be done with patchwork fabrics. The course at the moment is fully booked but l am hoping that the pattern making classes will extend to tops, dresses and pants. (l havent told Danni this yet). So why l am mentioning this is if you are interested at all in Pattern Making leave you name and phone number at the shop, as the more interest there is the more chance there is of having the classes.